Book a car rental in Townsville at VroomVroomVroom so that you can explore Far North Queensland in comfort and style. We compare rental cars from the country's leading suppliers, including Avis, Europcar, Hertz and Thrifty. Townsville is a wonderful city located in Queensland, Australia. It is nestled on the top of the north between Mackay and Cairns. Considered to be the unofficial capital of North Queensland, Townsville is one of the largest cities near the Great Barrier Reef, offering a lot of day tours and cruises. At VroomVroomVroom, we make booking a rental car easy. We provide a list of the best Townsville car hire deals from the top suppliers so you can choose where the most convenient place is to collect your car. Save time and money: By comparing rental cars in one website, you save time checking other sites. Read our Price Promise to find out how you can get the best deal! More choices: Are you looking for a specific vehicle? It is easy since we show our suppliers' list of rental cars and you can filter the result by car type. Convenience: You can find the closest location to pick up and drop off your car hire and we got a map to show you the direction. Excellent customer assistance: Contact us if you need help in booking a hire car in Townsville. We have been helping people find the perfect rental car since 2001. Explore with a campervan rental: Apart from rental cars, we also compare campervan hire deals in Townsville. Start comparing campervan and motorhome rentals. Townsville, like majority of the cities in Queensland, consists of tropical climate with hot humid summers and warm winters. Generally, the weather in Townsville is at its best from May to September. Winter is also extraordinary, since most days here are still warm and even the evenings are always cool. Tourists deciding to visit Townsville will surely not regret their decision, as the city is really spectacular. There are numerous parks, impressive buildings, restaurants, pubs, as well as sporting centres. Townsville will offer possibilities to all tourists to plan an amazing vacation in this beautiful city. Approximately half way between Mackay and Cairns, Townsville is deemed as Queensland's second capital as the city is the right pit stop in tropical North Queensland for a holiday. Most of Townsville's major attractions can be found outdoors. One of which is the Magnetic Island cited as the only island on the North Queensland Coast with a divine mix of untouched National Park and with over 20 stunning beaches. Located only 8 km offshore from Townsville, this paradise island is in a rain shadow thus making it the sunniest city on the Queensland coast. No matter which city you choose to visit in Australia, VroomVroomVroom would love to help you book a car hire. 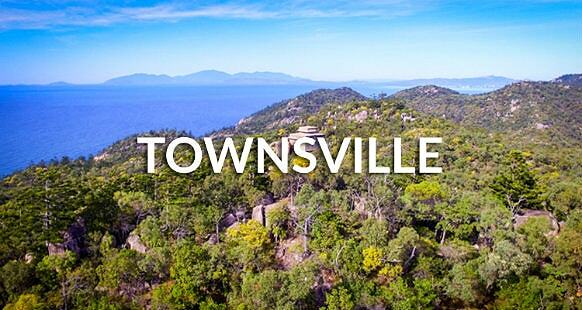 Here are some useful information about Townsville, just one of the many Queensland cities that we have access to hire cars. There are many magnificent diving sites in Australia, but Townsville seems to have captured the hearts of many diving enthusiasts. Do you want to know why? Aside from exploring its diverse marine life and colorful coral reefs, there are other unique diving opportunities awaiting them! Diving doesn't necessarily have to be underwater because in Townsville, you can also dive into history and dive without getting wet. That's right, the city is filled with unique attractions that would make your holiday more memorable. So if you are looking for the ultimate diving adventure in Australia, then start renting a car here and drive all the way to Townsville. 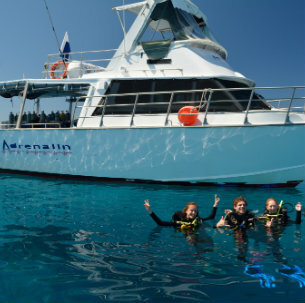 Adrenalin Snorkel & Dive is Townsville's longest-running Great Barrier Reef tour operator. We operate trips daily and visit the central section of the Great Barrier Reef as well as the world-famous SS Yongala wreck. The central section is further away from the Queensland coast and is thus less visited and therefore offers excellent snorkelling and scuba diving in crystal clear blue waters teeming with marine life and colourful coral gardens. Certified divers can join us on trips to the SS Yongala, voted Australia's best wreck dive and one of the top dives in the world. Often seen are Turtles, Sea Snakes, Giant Trevally, Queensland Gropers, Eagle Rays, Manta Rays, Sharks, thousands of Tropical fish and in the cooler months, even Humpback Whales. Diving at the SS Yongala is a bucket list trip no scuba diver should miss. One of the top diving sites in the world is the S.S. Yongala Wreck, where you can find an array of sea creatures such as schools of giant grouper, giant trevally, and cobia, as well as sea turtles and snakes. The famous wreck is situated in the Great Barrier Reef Marine Park and can be easily accessed via Yongala Dive, which is a PADI 5-star dive resort. If it's your first time to try diving, then you might as well take the Open Water course before moving to a more advanced course. Once you've passed all the necessary courses, then you can start exploring the S.S. Yongala Wreck and even snap some cool underwater photos! 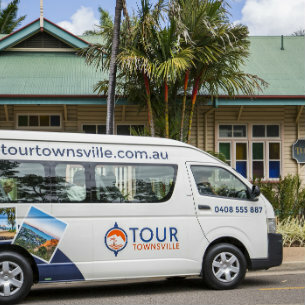 Tour Townsville specialises in small group size exclusive and unique tours that tell the story of Townsville through its history and scenic sights. Tour Townsville operate 7 days a week, offering 3 standard half day tours - City Scenic Tour, Military History Tour and River to Mountain Tour. They also offer 2 full day tours, which are: Military History plus Scenic Tour and River to Mountain plus Scenic Tour. Tour Townsville has won a number of Tourism awards including regional award for Excellence in Customer Experience. They can also run private and custom tours based on the needs and requirements of their customers and offer a wide range of itineraries. If you're not in the mood to get wet, but still want to explore the Great Barrier Reef, then the perfect place to visit is the Reef HQ Aquarium. This is your chance to get up close with thousands of sea creatures and watch marine-based shows such as fish and shark feeding, turtle talk, and predator dive show. Enter the viewing tunnel of the Predator Exhibit to experience how's it like being surrounded by dangerous sea creatures. You can even spot a replica of the famous S.S. Yolanga Wreck in that area. If you have small children in tow, then let them join the Creature Feature Workshops at the Discovery Lagoon. Are you ready to dive into history? There are many interesting exhibits and programs at the Museum of Tropical Queensland that tell the story of life in the tropics. You can even find a life-size replica of a centuries-old ship called the HMS Pandora at the Great Gallery. There are exhibitions of North Queensland creatures, tropical rainforests, deep sea creatures, fossils, and more! The Tucher Regional Gallery is a Townsville art gallery, which displays numerous artworks, including more than 2000 art pieces in its wonderful collections. Art lovers should not miss this spot. Ross River is another impressive location of Townsville. Here, tourists will be amazed by the spectacular view and the many possibilities to plan all kinds of outdoor adventures and aquatic sports, including sailing and surfing. Tourists will also be able to visit the Ross River Parkways, a series of beautiful parks which uphold their title of one of the best and most stunning destinations in Townsville. Movies Birch Carroll and Coyle on the corner of Sturt and Blackwood street. Have a good old fashion date with your partner at the movies or take the whole family out to see the latest release. Known for its central location, guests staying at Park Regis Anchorage have easy access to the city's premiere restaurants, bars, cafes, and clubs. The Great Barrier Reef and the Magnetic Island are within easy reach as well as several national parks, tropical rainforests, and other attractions. Their rooms are spacious and most have a private balcony so you can enjoy great views during stay. There are several dining venues to choose from that are located near Park Regis, but you can also have a satisfying meal at Table 51 which can be found within the hotel. For more choices in accommodation, visit Wotif.com where you can find a wide selection of hotels.